Yes, the current snow globe-like view outside my window is beautiful – but I am over it! Perhaps it’s because we are having yet another snowstorm here in Maine! There have been so many this winter, I’ve lost count. With that in mind, I am wistfully wishing of warm, sunny days and being outside digging in the dirt. 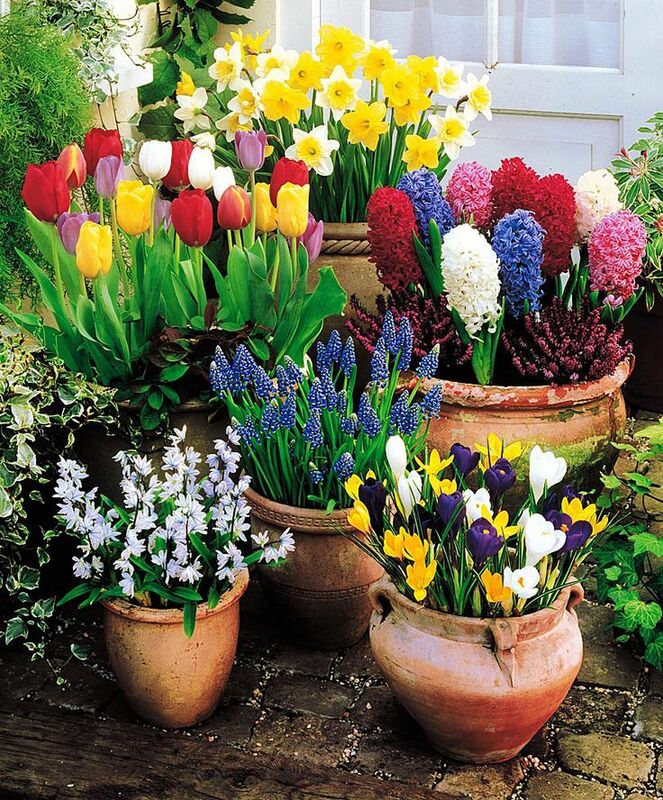 Or at least a fantastic gardening room for planting bulbs! This would inspire anyone to garden! 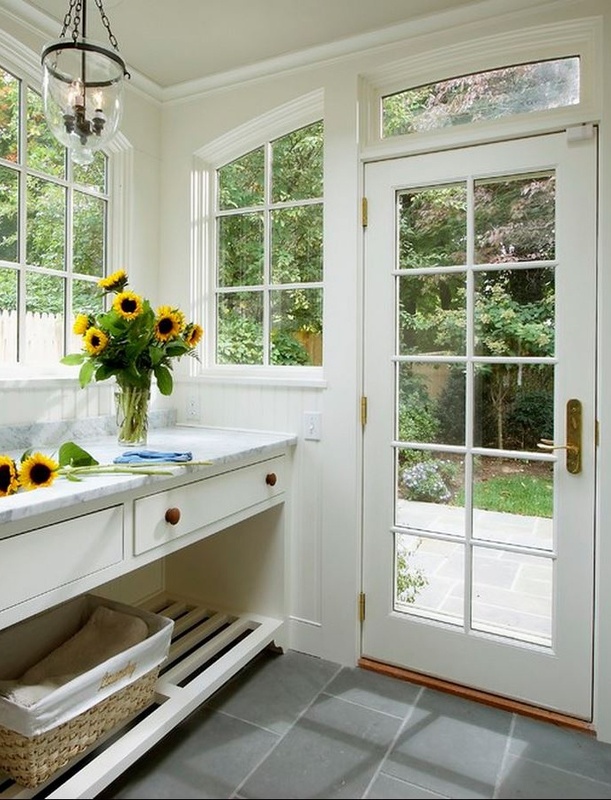 The color palette is soft and neutral and the apron sink is fantastic – it makes the whole space! This room is almost too pretty for dirt! But the windows, detailing and natural light make it a great space to work in any time of year! 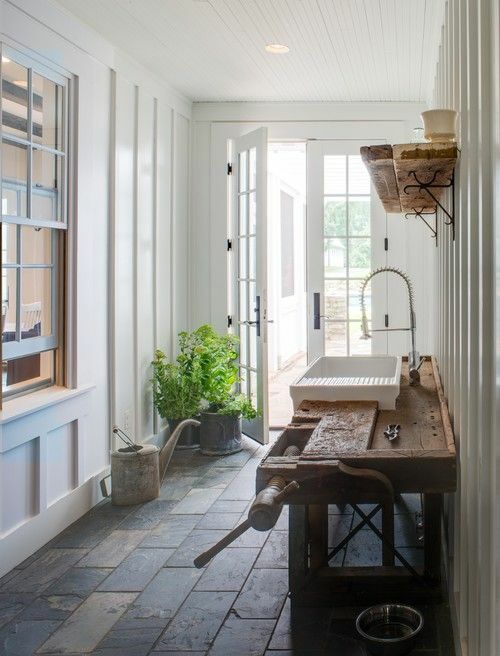 Love the simple, rustic style of this space and the board and batten walls. Now for the gardening part. Start with this…..
Before you know it you will be rewarded with this…. AAHHH, I’m feeling better!! Just looking at these beautiful spaces and gorgeous flowers has brightened my snowy day. Think Spring and how you can find new ways to Design*Decorate*Delight in your own home! Gallery | This entry was posted in Events, Gardening/Flowers and tagged board and batten, gardening rooms, gardens, spring flowers. Bookmark the permalink.